Building Information Modelling (BIM) is the process of creating and managing both 3D (model, drawings) and 2D information (schedules, specifications) throughout the buildings lifecycle. 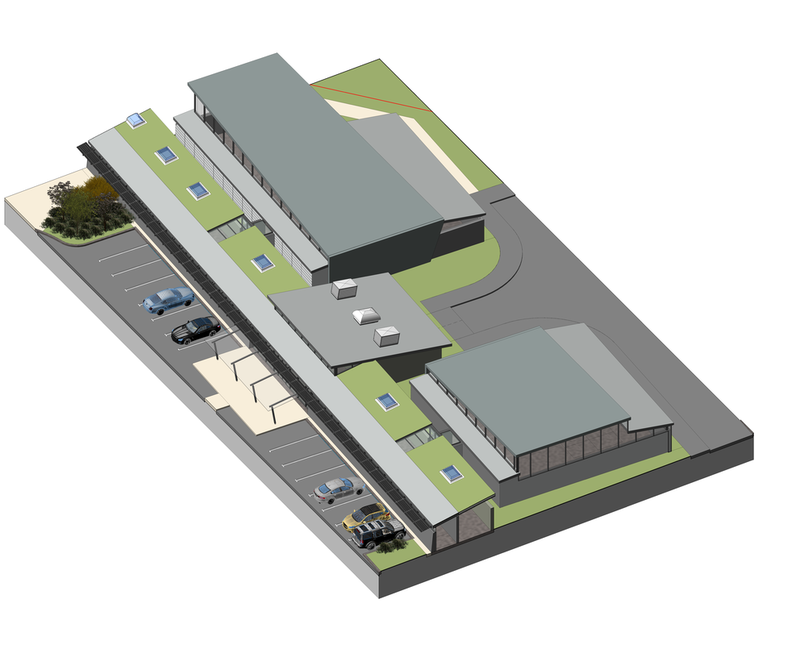 A key output of the process is the Building Information Model, co-ordinated with the client, design team, contractor and end user, to create a 3D representation of all aspects of the building. This collaborative BIM approach aims to reduce risk, conflicts and changes during design and construction, saving time and money. Speak to us for more information about our services and how BIM could help you and your project. A data-rich, co-ordinated, 3D Building Information Model. 3D visualisation to assist consultation and planning applications. Common Data Environment information exchange. hmh architects are able to tailor our services and can offer both BIM Level 1 and Level 2 compliant services, which offer additional benefits to the client, such as greater Asset Management information, through the use of COBie. As early adopters of Building Information Modelling software from 2006, when we invested in Autodesk Revit. We continue to invest in BIM, with software subscriptions and staff training. We promote an open and progressive learning environment, encouraging discussion, to ensure the quality of our BIM delivery. We host regular meetings to discuss project specific issues, as well as review experiences to provide greater advancement in BIM related tasks and technology. Working in a BIM environment allows us to simultaneously produce traditional drawings as well as 3D visualisations. ​For specific projects we are able to provide photo realistic renders, either directly or with our partners, as well as building Walkthrough animations, and Virtual Reality (VR) panoramas and live interactive models.